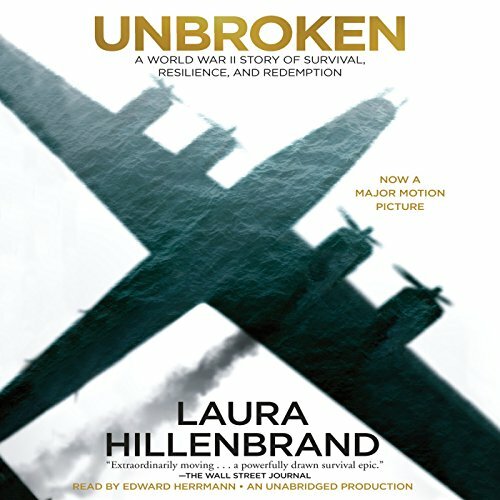 Number-one New York Times best seller The incredible true story of survival and salvation that is the basis for two major motion pictures: 2014's Unbroken and the upcoming Unbroken: Path to Redemption. On a May afternoon in 1943, an Army Air Forces bomber crashed into the Pacific Ocean and disappeared, leaving only a spray of debris and a slick of oil, gasoline, and blood. Then, on the ocean surface, a face appeared. It was that of a young lieutenant, the plane's bombardier, who was struggling to a life raft and pulling himself aboard. So began one of the most extraordinary odysseys of the Second World War. The lieutenant's name was Louis Zamperini. In boyhood, he'd been a cunning and incorrigible delinquent, breaking into houses, brawling, and fleeing his home to ride the rails. As a teenager, he had channeled his defiance into running, discovering a prodigious talent that had carried him to the Berlin Olympics and within sight of the four-minute mile. But when war had come, the athlete had become an airman, embarking on a journey that led to his doomed flight, a tiny raft, and a drift into the unknown. Ahead of Zamperini lay thousands of miles of open ocean, leaping sharks, a foundering raft, thirst and starvation, enemy aircraft, and, beyond, a trial even greater. Driven to the limits of endurance, Zamperini would answer desperation with ingenuity; suffering with hope, resolve, and humor; brutality with rebellion. His fate, whether triumph or tragedy, would be suspended on the fraying wire of his will. In her long-awaited book, Laura Hillenbrand writes with the same rich and vivid narrative voice she displayed in Seabiscuit. Telling an unforgettable story of a man's journey into extremity, Unbroken is a testament to the resilience of the human mind, body, and spirit.